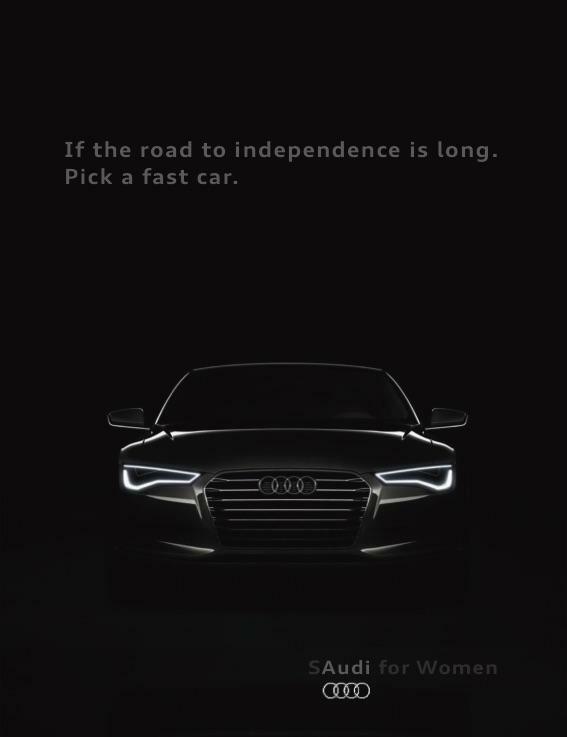 Tarek Chemaly: On that unofficial Audi ad for Saudi women. On that unofficial Audi ad for Saudi women. Ouf that had spirit. "If the road for independence is long. Pick a fast car." 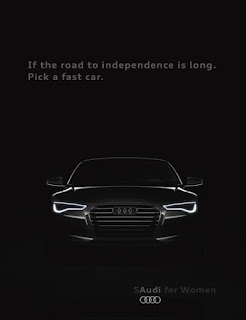 but the masterstroke is the line below "S-Audi for women". The ad comes from Leeds Arts University and the design and copywriting is credited to Victoria Twal. See? Most of the time the home grown is much better than the agency work!